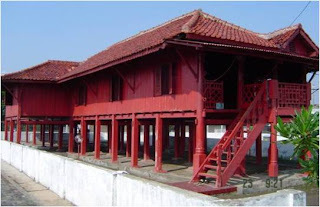 Bugis-style house was built in the early 20th century, belonged to a wealthy Bugis people. This house is a victim of a robbery committed by a champion named The Pitung in the 1900's. Local communities do not call home, but Pitung High House. Since this house does not belong to the Pitung. Marunda located in Kampung Pulo, Jakarta Utara.